The visionary founder of Rolex, Hans Wilsdorf, was an early pioneer in watch marketing. Barely had he succeeded in producing the world’s first water-resistant wristwatch in 1926, which with his inimitable knack for a catchy name he baptised the “Oyster”, than it was hung around the neck of cross-Channel swimmer Mercedes Gleitze on 21 October the following year for her “vindication swim” – her attempt to relive her swim across the English Channel two weeks previously, after a hoax by another swimmer had called her achievement into doubt. While Gleitze’s attempt to reconfirm that she was the third woman (and the first English-woman) to swim across to France from England was unsuccessful, her testimonial regarding the performance of the Rolex Oyster, which “proved itself a reliable and accurate timekeeping companion even though it was subjected to complete immersion for hours in sea water at a temperature of not more than 58 and often as low as 51 [10-14 degrees Celsius]” was just what Hans Wilsdorf needed. 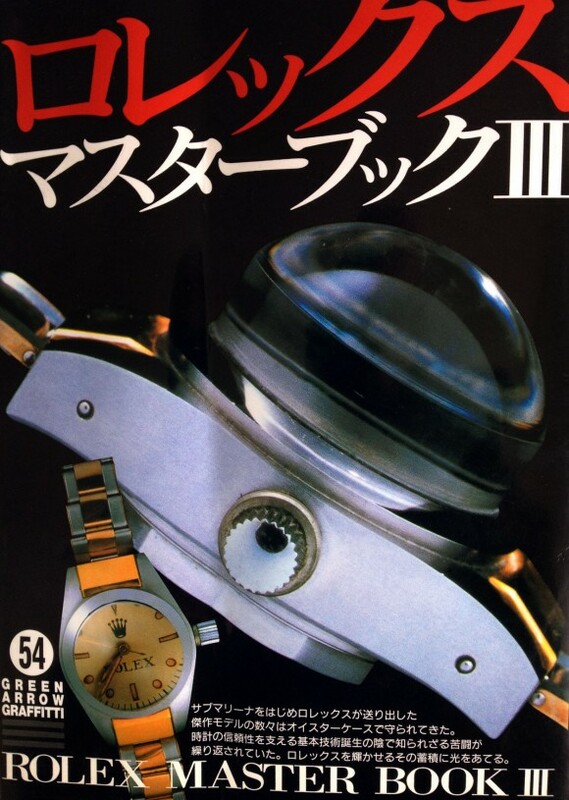 He promptly brought out a front-page advertisement in England’s Daily Mail newspaper on 24 November 1927 to boast of its “greatest triumph in watchmaking”. The secret behind the Oyster’s superior resistance was its patented case design, in which the bezel and case-back were screwed on to the case and the crown was also screwed in, hermetically sealing the movement inside the watch. 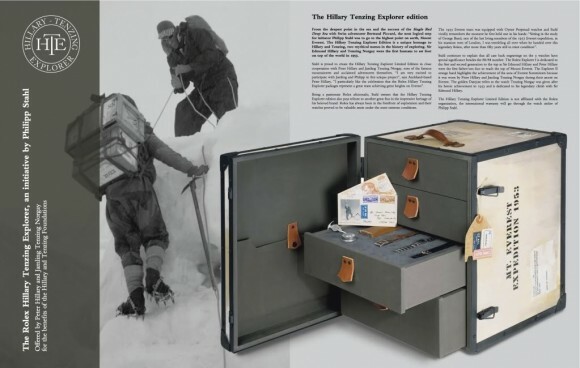 Its clear readability both day and night also made it perfect for the early Himalayan expeditions, with the Oyster accompanying the British Everest Expedition, which reached an altitude of 28,150 feet (over 8,300 metres) in 1933. By the 1950s, thanks to continuous feedback from the adventurers and explorers in Rolex’s real-world research laboratory, the brand was able to further refine its designs and produce its first “professional” timepieces specifically designed to cope with severe conditions. The Oyster thus spawned new offspring in the form of the Submariner (1953) that offered water resistance to a depth of 200 metres. In the same year, Edmund Hillary and Tenzing Norgay became the first men to conquer the summit of Everest. 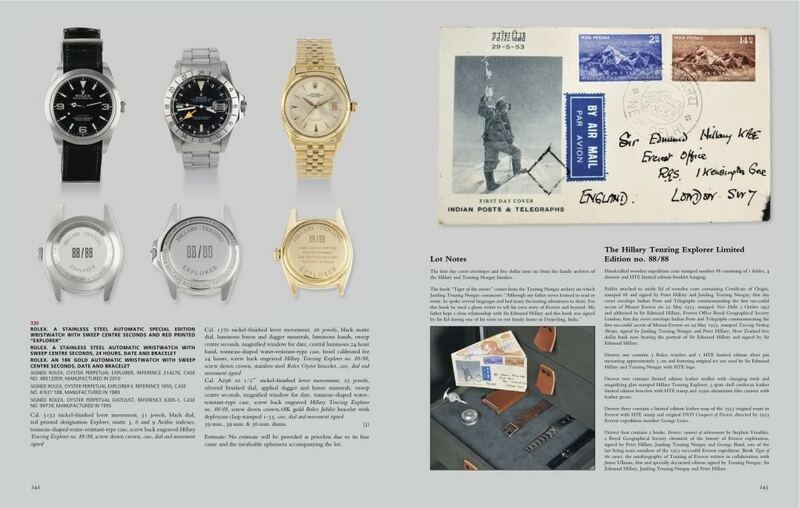 Since they were wearing Rolex Oyster Perpetual watches, Rolex was quick to capitalise on this historic event by launching a new watch dedicated to these intrepid adventurers. It was named, quite simply, Explorer. Not content with conquering the ocean’s depths and the highest peaks, Rolex also dispatched the Oyster in the air, accompanying the first flight over of Everest in 1933 and the first flight from England to Australia, by Owen Cathcart-Jones and Ken Waller, in 1934. The Oyster was also on board the X-1 when it became the first aircraft to break the sound barrier in 1947. At the time no one was even sure whether the pilot, Chuck Yeager, would be able to withstand the pressure of such speeds, let alone his wristwatch. 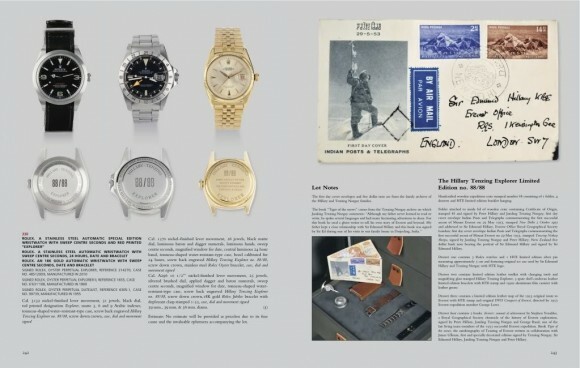 Rolex kept in step as transcontinental flight went commercial, becoming the official watch of the pilots of Panamerican World Airways (PanAm) and ushering in the era of commercial supersonic flight on the wrists of both the English and French test pilots of Concorde. 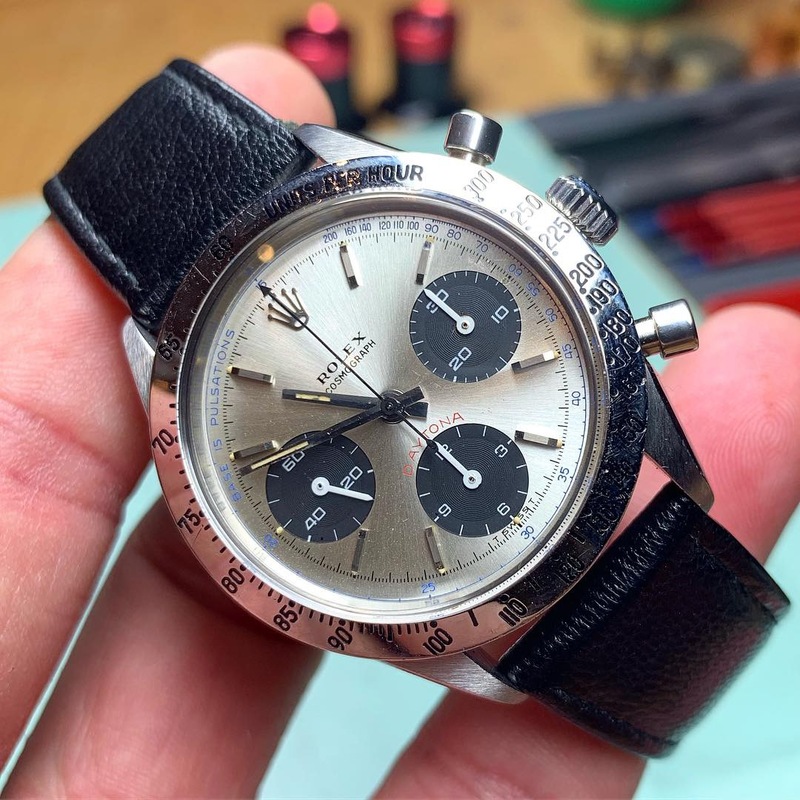 The ultimate test of resistance for a Rolex watch came on 23 January 1960, when an experimental Deep Sea Special watch was fixed to the hull of the Trieste bathyscaphe, which set a record that has not been beaten since by descending to 10,916 metres below sea level in the Marianas trench. 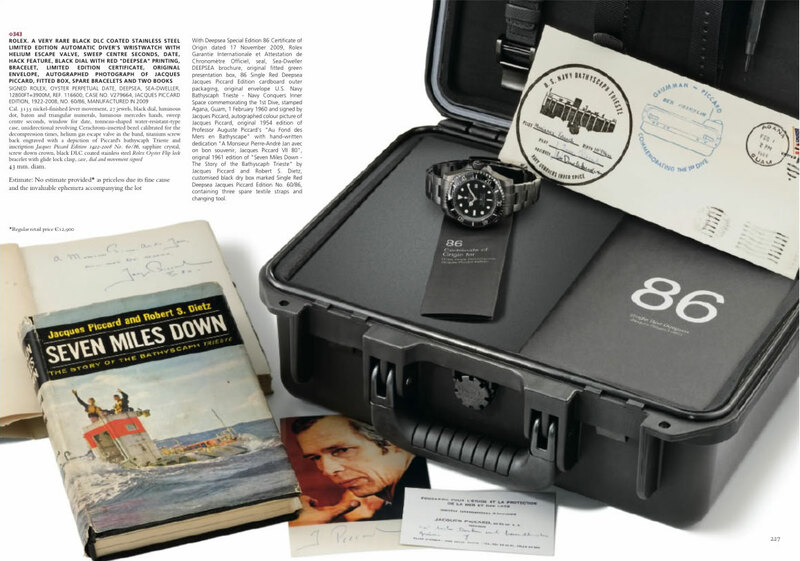 After the nine-hour expedition at unimaginable pressures, the Deep Sea resurfaced in perfect working order and paved the way for the development of the Sea Dweller production watch, launched in 1967 with a water resistance to 2000 feet (610 metres). More recently Rolex has plumbed the depths even further by launching, in 2008, the Rolex DeepSea, which is water resistant to a depth of 3,900 metres (but is actually tested at a simulated depth of 4,875 metres in a hyperbaric tank developed by COMEX, Rolex’s partner in deep-sea exploration since 1971). Since the turn of the century, the classic Rolex models associated with exploration have been subtly refined, including the GMT Master II in 2005 and the Explorer II at BaselWorld last year. We look forward to the latest BaselWorld product news from Rolex—which the brand always keeps firmly under wraps until the start of the show—and a continuation of Rolex’s involvement at the forefront of exploration on Earth. And this is how a Pure Rolex DeepSea Special should look like, a MK 1 DSS with rare white dial. Note the different crown then we see on the later Display Models. This post was written by Philipp on April 9, 2012.